All of us have heard it before: Trust is earned, not given. It could not be more true for Uphold, even as we have set a new standard of consumer protection and financial services accountability. We operate the world’s only verifiable fully transparent financial service. Our transparency is built around the fundamental principle that everyone has the right to total visibility into, and control over, their funds. Anyone, at any time, can confirm our reserve and ensure that his or her funds are safe and accessible. We show real time allocations of the reserve that consist of consumer funds so you can see your funds are backed by at least a 1:1 allocation of value in the same or more stable asset class. I’m proud to say we’re currently the only financial services company in the world with over 100% tier one capital. 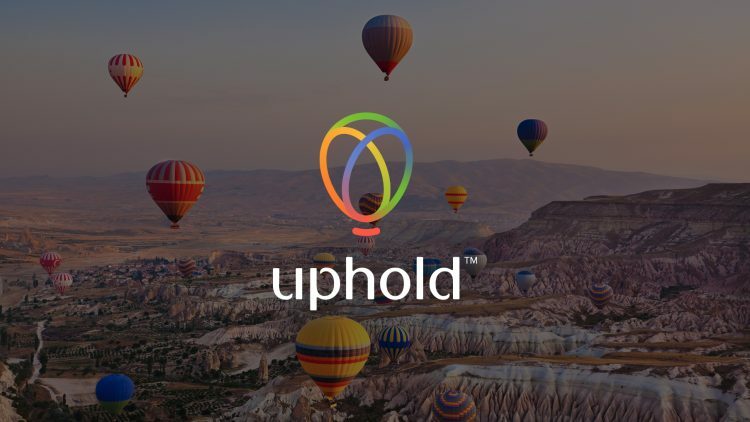 At Uphold we believe we can bring something to every member that no other financial institution can or will provide. We take that responsibility seriously and want to ensure that as a consumer, each member sees the value in, and fully understands our transparency mission. We have received enormous amounts of feedback relating to our transparency page. For the most part the comments have been overwhelmingly positive, but we’ve also received a lot of comments that show we still have areas to develop further – all types of comments are encouraged and greatly appreciated. More importantly, we have been successful in starting the conversation around transparency in an industry where that is the last barrier to easily understand the single thing that makes the entire world operate: YOUR MONEY. One thing is abundantly clear: Numbers without context are not meaningful. Anyone can place numbers or a badge on a website and say they are transparent. This has been the practice for decades starting with the good housekeeping seal of approval (And yes, I know I am dating myself now) all the way to present day with sites displaying PCI Certified (which we display), protected by McAfee or member of xyz association. Display of these types of tokens on a site is no different than putting numbers there. The only statement it can make is “take my word for it because you simply won’t understand the complexity behind it”. Companies expect implicit trust without having to earn or demonstrate it. It is a completely different process and perspective to earn trust through transparency, and our mission is to ensure you never take our word for it. We have always been committed to provide the tools for anyone to verify and establish trust through transparency. Verifiable proof of cryptocurrency reserves:The Uphold transparency API offers detailed access to the underlying ledger of Uphold. This only shows a limited view and needs the blockchain itself to complete it. Because of this, we will be working on our Reserveledger™ product that will combine the blockchain transactions for end-to-end verification. Independently Audited FIAT / metals reserve reports: As FIAT reserves can’t be proven cryptographically yet, the next best solution is a highly trusted party auditing them. This is performed today on all of our reserve holdings but is currently not published publicly. To ensure that you have full visibility into this extremely vital piece of information, we are working with our auditing partners to develop a publishable report on a quarterly basis that will be displayed on our site. We will also be working on a product that will provide verifiable and audited reserves real-time for all asset classes and accounts to confirm what we are displaying to you in real time. Open source reserve ledger audit: Let’s face it. Not all of us are uber cryptocurrency users. While our Reserveledger™ and Reservechain™ provide quick and easy ways for those adept in cryptocurrencies to validate our reserve, it’s not that easy for the casual user or someone trying to see the value and benefit of cryptocurrencies for the first time. Because of this, we will be creating a simple version that anyone can use to verify what we have at any given time. Multi-tiered Asset Classes: There is a large amount of information on our transparency page. We have over 30 currencies, several cryptocurrencies, and we onboard new value classes regularly. Not all asset classes and currencies are created equal. Some have high volatility, some are hard assets such as metals, and some are cutting edge and not well known in the markets. To help users understand how funds are held in the reserve and the value associated with each, we will be changing our transparency site to have a Multi-tiered approach to displaying assets and how the reserve relates to those assets and we will send out more information in the coming months, but it will be based at a high level upon asset class, liquidity and volatility. We feel this will help everyone to understand how our reserve is comprised and holdings with each asset tier. These are just a few of the exciting efforts that are underway to improve transparency. Uphold is deeply committed to giving you the tools needed to verify our transparency so you feel confident in placing your value on Uphold. I’m sure that some will continue to say this is not enough and more needs to be done. I agree there is more to do and this journey is just starting. Financial Services as a whole needs to change and become more transparent. We are proud to take the industry leading position on this incredibly important transformation and setting the bar for others. I’ll leave you with a few questions: Would you buy a car without understanding how things work under the hood or buy a house without understanding how the big ticket items like the roof or electric or heating components were working? Why wouldn’t you do the same with your most important asset, your money? Please ask yourself, does my current financial institution go out of their way to tell me exactly how my money is being used? Please reach out to me and let me know your thoughts. As you can see, we are listening.